Please refer to our list of instructions below for Pre & Post-Operative procedure instructions. NO-NO LIST FOR SPACE MAINTAINERS AND APPLIANCES, CROWNS AND SEALANTS Things you cannot eat or chew!!! ICE: It will break your space maintainer or appliance. HARD PIZZA CRUST: It may bend the wire of your appliance. HARD PRETZELS: It may bend wires or loosen bands. 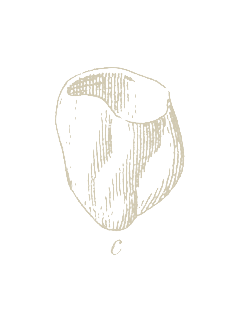 HARD CHIPS: May form a hard ball and break the appliance. GUM (ANY KIND): It will loosen bands and pull off the cement. BEEF JERKY, SLIM JIMS: These are touch and can damage the appliance. PENS AND PENCILS: Not good to chew any time! RAW CARROTS: These are hard and can bend wires. Eating these foods will loosen and possibly break bands of appliances, but you many not discover the problem until hours or days later. At this point the appliance might have already stopped working and bands and wires might have been in vulnerable position to get bent or broken. Please share this information with other relatives and caregivers to ensure the patient follows these guidelines. When gauze becomes soggy, replace it with another and apply pressure by biting on it for 30 minutes. Slight oozing and staining of saliva is normal and can be expected for as long as 2-3 days. Moderate bleeding may be controlled by biting tightly on a tea bag that has been wrapped in gauze and moistened slightly with water. If HEAVY bleeding continues, please call our office. Your child’s lip, cheek, and tongue will be numb or “asleep” for about 2-3 hours. During this time make sure your child does not bite, scratch, or pick at these numb areas. After 24 hours, rinse very gently with warm salt water after meals (1/2 teaspoon per cup). Brushing and flossing should be resumed within 24 hours. Restrict diet to liquids (milkshake or smoothie) for the first 3 hours, and then eat soft foods for the rest of the day such as soup, yogurt, Carnation Instant Breakfast, eggs, jello etc. Carbonated drinks should not be given for 48 hours and straw should not be used for drinking for those 48 hours. Plain Tylenol or Motrin may be taken every 4-6 hours as needed for pain. If the tooth extracted was a permanent tooth, you can apply ice packs to face to reduce post operative swelling for the first 3 days. Ice packs should be placed on 15 minutes, off 15 minutes, for 1 hour, 3 times a day. With proper home care, complications seldom occur. Call our office if you have any problems. How To Care For A Chewed Lip, Cheek Or Tongue • The cheek or tongue will be swollen, red/white, hot, and painful. Sometimes parents mistake the chewed up area for infection, but it is injured tissue that will heal without antibiotics. • Apply ice packs for first 3 days. Ice packs should be placed for 15 minutes on, 15 minutes off, for 1 hour, 3 times a day. • Rinse with salt water two times a day for 3 days. • Give your child Tylenol or Motrin for pain. • Apply topical numbing ointments available over-the-counter at any pharmacy. • Call us at 713-861-4000 if the wound does not heal in 5-7 days or if it seems infected. Restrict diet to liquids (milkshake or smoothie) for the first 3 hours, and then eat soft foods for the rest of the day such as soup, yogurt, Carnation Instant Breakfast, eggs, jello etc. Normal brushing and flossing should resume tonight. Give Tylenol or Motrin in case of any discomfort of the tooth or gums. If your child complains of discomfort when chewing after a few days, please come in to the office for adjustments to the height of the filling, which is a short, painless procedure. Your child should heal normally if you follow these instructions. Please feel free to call our office if you have any questions. • Apply topical numbing ointments available over-the-counter at any pharmacy. • Call us at 713-861-4000 if the wound does not heal in 5-7 days or if it seems infected. The area of the procedure will look, feel, and heal like a large ulcer. Usually no sutures are necessary, but in case that the doctor puts them in, you will be informed. Bleeding might last shortly and gauze with pressure needs to be applied to the area. When gauze becomes soggy, replace it with another and apply pressure. Slight oozing and staining of saliva is normal and can be expected for as long as 2-3 days. Moderate bleeding may be controlled by applying pressure with a tea bag that has been wrapped in a gauze and moistened slightly with water. If HEAVY bleeding continues, call our office. Your child’s lip and cheek will be “asleep” or “numb” for about 2-3 hours. During this time, make sure your child does not bite or irritate these areas by pinching, poking, or scratching. Vigorous rinsing of the mouth should be avoided. After 48 hours, rinse very gently with warm salt water after meals (1/2 teaspoon per cup). Brushing and flossing should be resumed after 24 hours. Over the counter numbing ointment of any kind can by applied to the area according to the instructions if necessary. Restrict diet to fluids for the first 4 hours, then soft foods may be eaten during the rest of the day such as soups, yogurt, Carnation Instant Breakfast, eggs, jello etc. Avoid carbonated drinks and drinking through a straw for 72 hours. Apply ice packs to lip area for first 24 hours to reduce any possible swelling. Apply 15 minutes on, 15 minutes off for 1 hour, 3 times a day. Plain Tylenol or Motrin may be taken every 4-6 hours as needed for pain. If these medications do not alleviate patient’s discomfort, please call our office and I will prescribe a stronger pain medication. With proper home care, complications seldom occur. We will schedule the patient in one week for an exam to check healing. Herpes Stomatitis is a common childhood viral infection. Your child, although uncomfortable for about 1 week, will heal without any need for antibiotics. This sheet is designed to treat the symptoms and to help your child feel better. The most important thing is to keep your child well hydrated with lots of fluids. Some examples of good drinks are Gatorate, Pediasure, or Carnation Instant Breakfast. Buy over the counter Benadryl liquid and Maalox liquid. Mix one teaspoon of Benadryl with one teaspoon of Maalox and have your child swoosh and then swallow mixture every 4-6 hours. Tylenol or Motrin will provide relief for pain and fever. Take a dose appropriate for your child’s age and weight. Please remember that your child may feel irritable for 10-14 days while the virus runs its course. However, it should be easier for your child to eat and drink after 3-5 days. Bonding of front teeth is a fragile procedure done to repair fractures and staining on front teeth. Because bonding to the front tooth is difficult due to limited retention available, the procedure might have to be redone frequently. Within the first 6 months we will repair broken front teeth composites at no charge. A permanent veneer or crown might be the final solution once the bite stabilizes in the late teenage years. We will refer you to a cosmetic dentist to perform that procedure when the time comes. Proper home care can help increase the longevity of the restoration. To prevent possibility of a fracture, avoid biting with the front tooth into hard candy, apples, carrots, hard bread, ribs and other meat with bones, pizza crust, corn on the cob, ice, fingernails, hair pins etc. To prevent staining, avoid or keep to a minimum foods and drinks such as: chocolate, coffee, tea, colas, grape juice, blueberries, cherries etc. Home fluoride gels have flavoring added, but do not have any coloring added and CAN be used with bonded teeth. Please remember to brush your teeth soon after eating or drinking anything that might stain your front teeth. Certain trauma from falling, accidents or hits by flying objects especially while playing sports, can cause a permanent tooth to be completely “knocked out” or AVULSED. Immediately call our office. If the emergency is during our regular hours, head to the office and call on the way. If this is an afterhours emergency the doctor will meet you there as soon as possible. If the tooth appears dirty, plug sink, rinse the tooth GENTLY under tap water. DO NOT SCRUB, TOUCH THE ROOT, OR PUT SOAP ON THE TOOTH! Have your child rinse his or her mouth with warm water only. 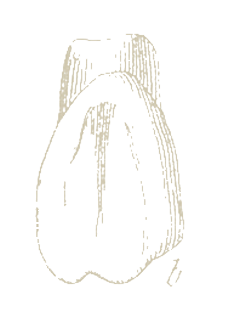 If possible, immediately insert the tooth back into the socket, position like the tooth next to it as best as you can, and hold the tooth in position with finger pressure or by biting firmly on cotton gauze. If you cannot insert the tooth, place it in a container filled with your child’s spit or in milk. If you have a “Save a Tooth” kit, place the tooth in it. Take the tooth and go IMMEDIATELY to your dentist or hospital emergency room. Call when you are on the way, but do not wait. Within 48 hours call your child’s physician to make sure your child is up to date with tetanus vaccinations. Your child’s lip, cheek and tongue will be numb or “asleep” for about 2-3 hours. During this time, make sure your child does not bite, scratch, or pick at these numb areas. Restrict diet to liquids (milkshake or smoothie) for the first 3 hours, and then eat soft foods for the rest of the day (soup, yogurt, eggs, jello etc). Your child should chew on the opposite side of the crown for the first 24 hours. Gums may bleed for 2-3 days. 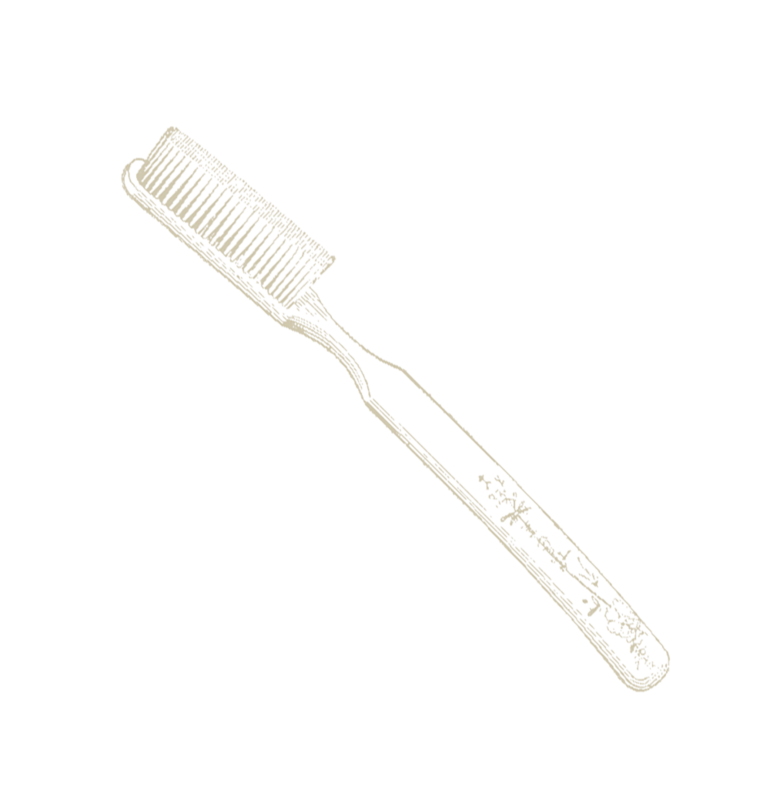 Gentle cleaning should be done for the first 2 days with a soft toothbrush or washcloth. All other areas should be cleaned as usual. To speed healing, use warm saltwater rinses after meals and before bedtime. NEVER permit your child to have Now or Laters, Jolly Ranchers or fruit roll-ups and other hard/sticky candy. These can pull the crown off the tooth. Call us immediately if the crown does come off, so that Dr. Lindhorst can replace it or re-cement the old one. • The cheek or tongue will be swollen, red/white, hot, and painful. Sometimes parents mistake the chewed up area for infection, but it is injured tissue that will heal without antibiotics. • Apply ice packs for first 3 days. Ice packs should be placed for 15 minutes on, 15 minutes off, for 1 hour, 3 times a day. • Rinse with salt water two times a day for 3 days. • Give your child Tylenol or Motrin for pain. • Apply topical numbing ointments available over-the-counter at any pharmacy. • Call us at 713-861-4000 if the wound does not heal in 5-7 days or if it seems infected. Please call Dr. Lindhorst’s office immediately for an emergency appointment (713-861-4000). Please specify any drug allergies or medical conditions. If your call is after hours or on a weekend, Dr. Lindhorst will call you back as soon as possible. Cold packs may provide some comfort, but never place hot packs on areas of infection. Do not let your child have sweets or gum. Do not allow chewing in the painful area. Feed your child soft foods only. Unless there are allergies to Ibuprofen or Tylenol, give your child a normal dose of Ibuprofen and 2 hours later a normal dose of Tylenol. Alternate Ibuprofen and Tylenol every 3 hours afterwards. Rinse food and debris from painful cavity in the tooth by using warm salt water (1/2 teaspoon per cup). A toothpick might help remove all debris. Buy a “toothache medicine” over the counter at a pharmacy. Most effective medicines contain eugenol or topical anesthetic such as benzocaine. Tear a tiny piece of cotton from a cotton ball and saturate it with the toothache medicine. Then place directly into the cavity in the tooth using tweezers and/or toothpick if you have difficulty reaching the area with your fingers. Leave the cotton in the cavity. Exchange the cotton for a freshly saturated piece as needed. These measures will only work temporarily to relieve immediate pain, so please see Dr. Lindhorst as soon as possible!